13 Mile Mark, Loch Fyne on the west coast . This pair of animals, each approx. 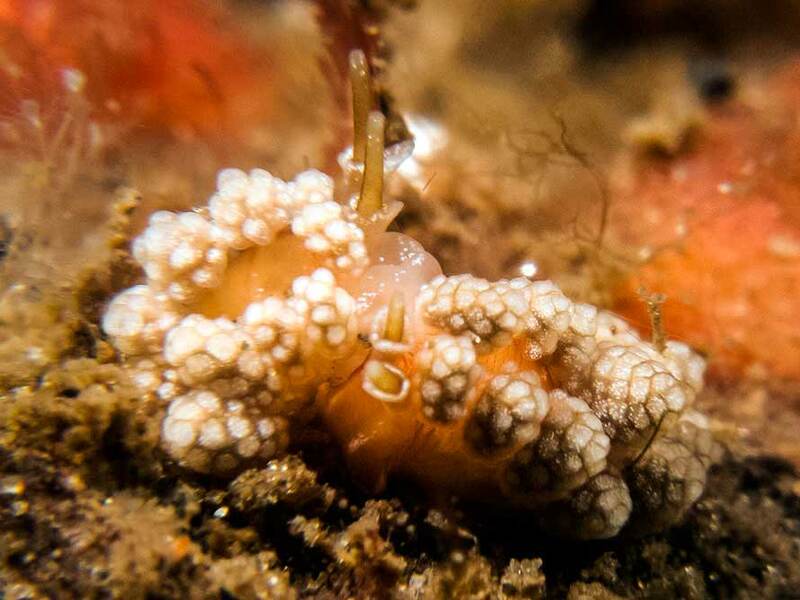 6 mm long, was located at 15m on a hydroid on a little rock on the sandy slope below the entry point. Water temperature 11° C.
Olympus 5050 in PT-015 housing and 2 Epoque DML-2 close up lenses with 2 x Inon D-2000 flashes.